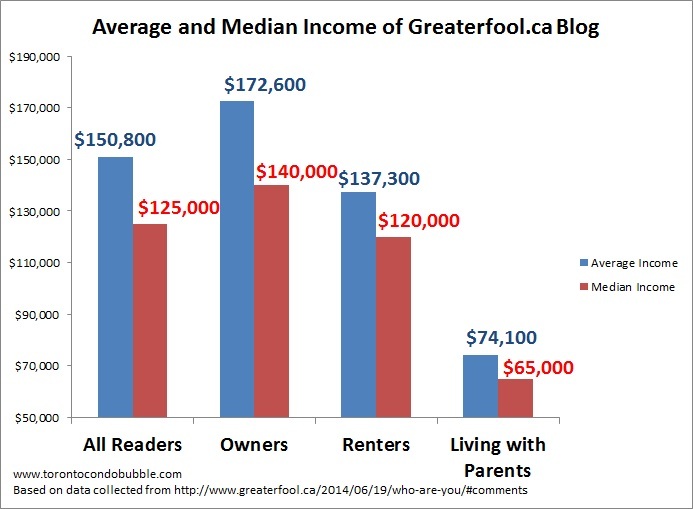 A typical doomer is in his 30's, has a household income of $150,800 on average, is likely to be a renter and expects home prices to drop north of 20% down the road. Not what you expected? Then keep reading. 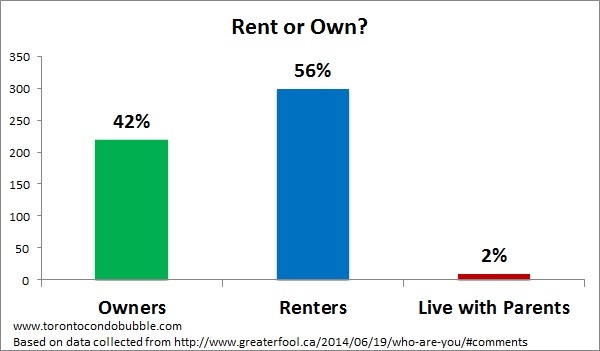 A few days back Garth Turner asked few questions in his Who Are You post: "(a) rent or own, (b) family income, (c) age and (d) your outlook for real estate over the next one or two years." Since Mr. Turner made it clear that he won't be producing any graphs based on the generated data I decided to do it myself. Below is what I got. You would expect that a lot of real estate bears would be living in their parents basement but this is just not the case. 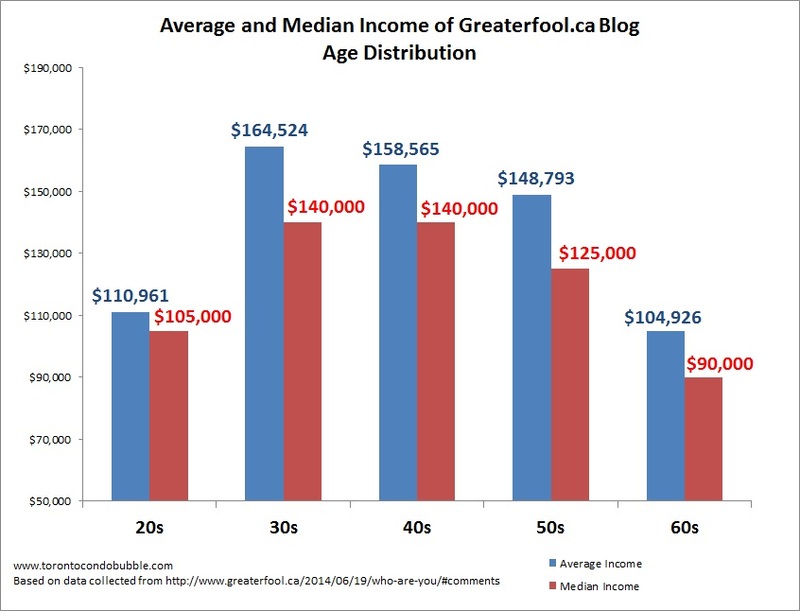 The median household income of a greaterfool.ca reader was $125,000 which is significantly higher than the 2011 median household income in Canada of $57,700. How come all the doomers are high earners you may ask. One possibility is that people who make a lot of money care more about learning personal finance than those who make an average income. 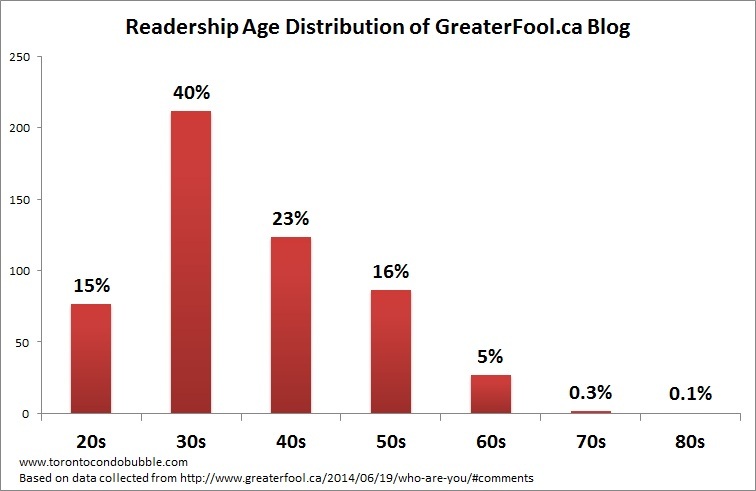 The most active age group on Garth Turner's blog is 30 something. 38% of people in their 30's own and 62% rent. Of those who are in their fifties, 48% rent and 52% own. About 80% of Garth's blog readership believe that home prices will eventually fall. 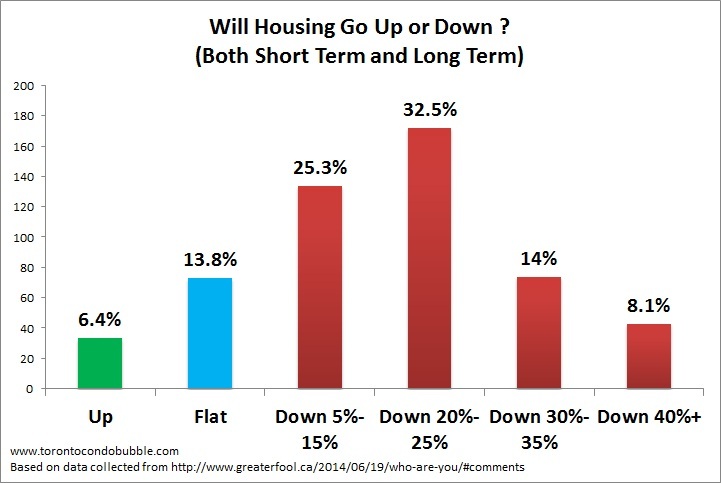 Near 7% believe that home prices will continue to go up and around 13% believe that prices will continue to remain flat. In total I went over 827 comments from which I coded 530. Comments which included incomplete information and trolling (Smoking Man) were not included in the analyzed data set. There were a lot of single individuals in the sample and in many cases it was not clear on whether income was for an individual or a family. Long story short, I counted all the incomes and labeled it household (singles + families). 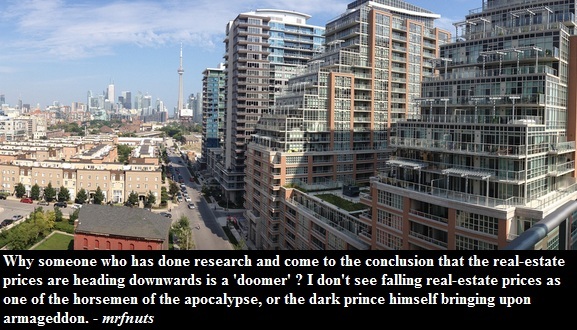 With regards to the real estate outlook, lots of people included the long term prediction, so I've included that one too. If you have any questions with regards to the methodology that I've used to code the data shoot me a comment below.